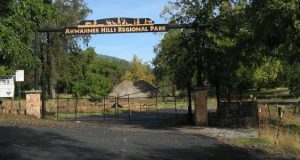 OAKHURST – Visit Yosemite | Madera County once again partners with the art community of Oakhurst to present ARTober in Oakhurst, a month dedicated to celebrating arts and culture throughout the area. ARTober encourages collaboration and participation from artists, musicians, writers, venues, foodies, and others to showcase all things arts and culture. The events are designed to encourage people to explore and appreciate arts in Oakhurst — a vibrant small town among the largest artist communities, per capita, in California. ARTober kicks off with one of our region’s premier art events, the Sierra Art Trails open studio tour on Friday, Saturday and Sunday, October 5 – 7, from 10 a.m. to 6 p.m. each day. 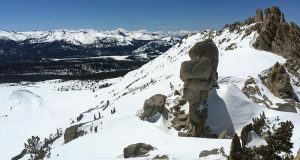 Now in its sixteenth year, Sierra Art Trails provides a unique opportunity for enthusiasts to see fine art and fine crafts in the making, and to meet and purchase works directly from the people who create them. 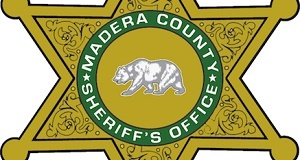 The show takes place in homes, studios, galleries, and businesses in more than a dozen communities in Eastern Madera County, California’s gateway to Yosemite and Mariposa County. The exhibits feature artists and artisans working in a wide range of media including painting, photography, jewelry, sculpture, fiber arts, woodcarving, ceramics, glass, and more. 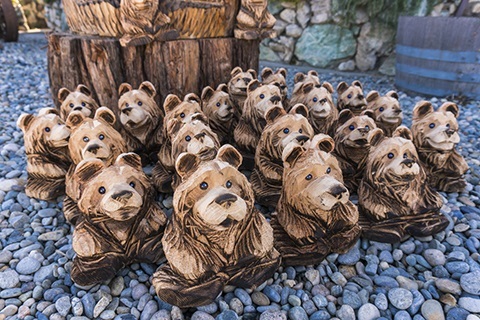 • 31 Days of ARTober: Each day a unique chainsaw-carved bear will be hidden at a local business somewhere in Oakhurst. 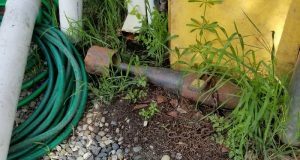 Follow @ARToberOakhurst on Facebook and Instagram for daily clues. • Oakhurst Fall Festival: Don’t miss Oakhurst’s annual signature event held on Friday, October 12 (3 – 8 p.m.) and Saturday, October 13 (10 a.m. to 8 p.m.) in the Oakhurst Community Park. The festival offers everything from collectibles to local wine samplings, hand-crafted beers and more plus live music. This year’s main attractions include Jedi training, Mana Fire Dancers and Elvis performance. Don’t miss the Oakhurst Rocks booth where everyone can paint a rock. 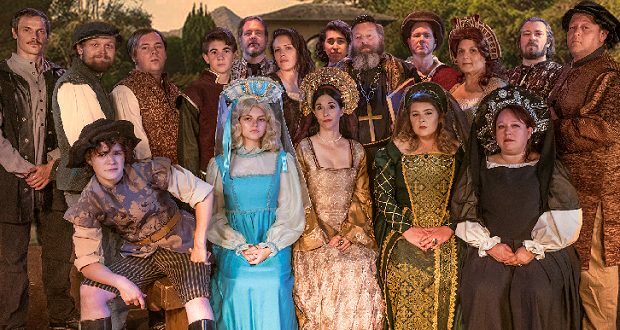 • “Much Ado About Nothing” by William Shakespeare runs through October 7 and “Madame Gadzinka’s Halloween Musical Extravaganza” runs from October 26-28 they are live theatre performances at the Golden Chain Theater in Oakhurst. • Yosemite Renaissance 33 Exhibit Saturday October 13 through Sunday November 18. Yosemite Renaissance is an annual exhibit that presents diverse artistic interpretations of Yosemite and the Sierra Nevada with participants from across the county. A special reception will be held on Saturday, Oct 20. Submissions September 29th 10 a.m. – 2 p.m.
• “The Outing” – Solo Exhibit of painter and mixed media artist Susan ManterBolen at Gallery 5. 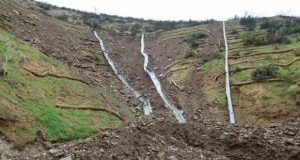 Sept 8 – Oct 7. 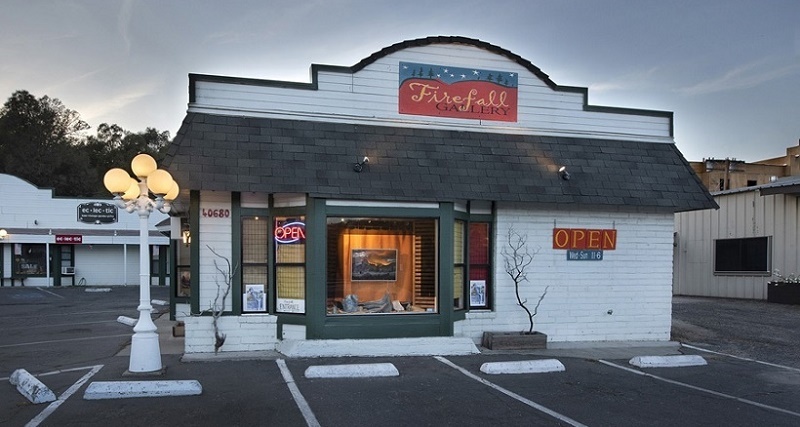 • Visit the new Firefall Gallery owned by Nancy Robbins, Rikki Alley and Carol Kovach, located in north Oakhurst at 40680 Hwy 41, next to the bicycle shop. 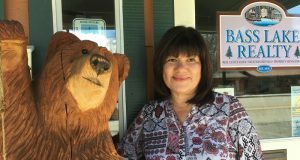 They are open Wed-Sun from 11 a.m. to 6 p.m.
Anne Driscoll of Branches Books & Gifts was recognized for her ongoing support and contributions to art and local artists with the Sierra Art Trails “Keeper of the Flame” award. The award is given annually to a business or organization in recognition of its contribution to the creative community. If you or your Oakhurst business/organization would like to have an event included in the ARTober event listing or if you would like to be contacted with further information about how you can help and participate in an event, please email rhonda@yosemitethisyear.com or go online to www.Artober.net for more information. This article was updated on Oct. 10 2018 to reflect the cancellation of Chalk Out by organizers.